A zero-day phishing scam has hit thousands of businesses, purporting to be from Bank of Melbourne. 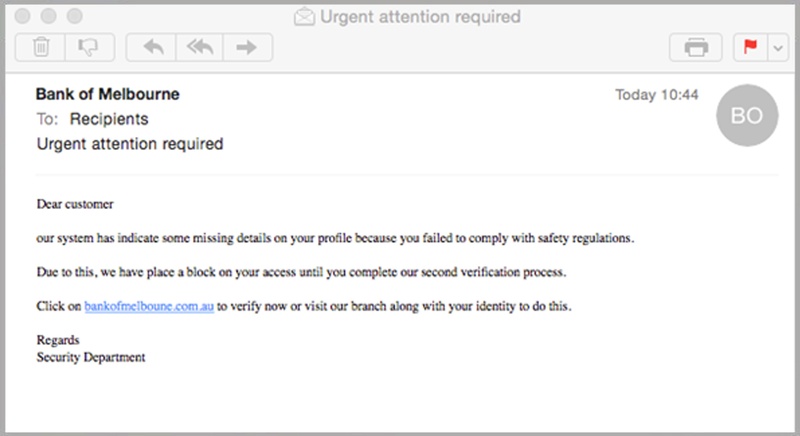 MailGuard have identified and blocked the scam. At the time of writing, no other vendor has detected the attack.